Looking for fresh outfit ideas, but do not know where to start? Go for a steampunk inspired fashion. 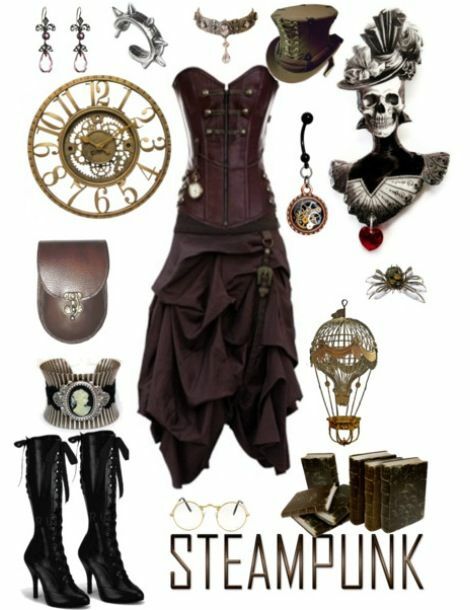 In today's article I want you to have a look through awesome steampunk inspired outfits for women. Why don't you reinvent Victorian fashion era and choose yourself an elegant outfit with science fiction inspired details. To create a steampunk look, you have to base your outfit on actual Victorian era clothing. Once you have a base look you need to add earthy color garments, like leather jacket or corset. Why do so many people love this style? Perhaps of a wide range of customizability. As you can see, women's outfits have a tight-fitted bodice and a fuller skirt. Be original and keep on experimenting with details.